UNIFOX will actually become a kind of MasterCard, which means one - world use.I hope all countries will join us and there will be no exceptions. Are there any countries that are excluded from the project? Is the dividends paid every month or annually? Btw, how the dividends is calculating? the total ammount of dividends, dividet to all the token holders, divident on 365 day, and multiplies the number of days, the owner holds tokens right? in Europe and post soviet countries there are lot's of freelancers, so this is a good plays to start! and many investors. all in all Unifox have a great team, so they are aware of the transfer problems, and i think they have this group of people ( i mean freelancers) under their radar! Interesting question, it's will be not fair if somebody buys the fox token at the exchange at the end of the month, get the dividends, and then sell all the tokens. Get involved in the crypto-friendly ecosystem which will help to adopt blockchain technologies into nowadays world. 50% bonus is still active for a day, so hurry up, and become a part of the fast growing community ! invest 1000 USD, and star earning dividends. Also become eligible to take part in the contest, and win a masternode, or other valuable prizes! this project is very much in the interest of many people and very sorry I did not follow it and the price of a coin is very expensive compared to the others. didn't realy follow your thought. Compare to other similar project? 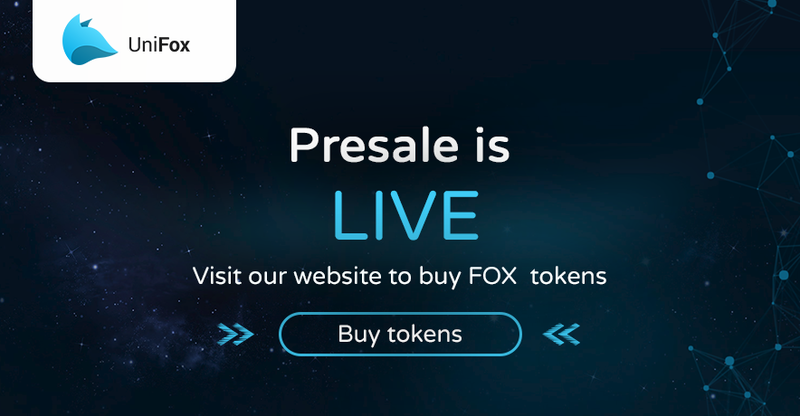 the price is setting from the supply, and it's only a presale stage! so basically you have the cheapest price now. Guys a question, you have a 1b supply, and 60% for the sale, so overall, you want to get like 75 mil of the hard cap? The cryptocurrency market is changing very quickly. After 5-7 years, this project may not exist at all, as well as 90% of other projects. Or it may be one of those that prosper and expand, it depends on the team, and the community, whether they need such product or not. Unifox invested $7M USD itself and will not stop this project. Feel free to meet us at offices (Prague) where you can see and touch all tangible parts of our project - ATM, POS terminal. Unicash is implemented in many systems (check out unifox.io), exchange under development and online exchanges. We want to seriously change the way blockchain and crypto works and want to be something like VISA/Mastercard - service provider for all our products.